FAST USPS Shipping: Flat Rate $5.95 all orders. 100% Natural, Safe & Effective! 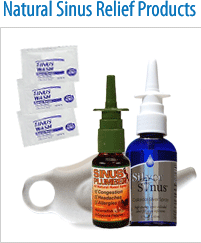 Get Fast, Permanent Relief From: Sinus Pain, Sinus Congestion & Sinus Headaches. The USFDA has not evaluated, nor rendered approval for any statements, testimonials or research cited herein, nor have they approved any representations or opinions concerning colloidal silver. Silver Sinus and Silver Cold & Flu Relief are dietary supplements and are not intended to diagnose, cure, prevent or treat any disease. Silver Sinus and Silver Cold & Flu are not drugs and the information and opinions we offer are based upon use of these products as a dietary supplements only. We have no doctors on staff and do not offer medical advice concerning colloidal silver. We suggest that you consult a licensed physician if you believe you have a serious health issue. We also recommend that you do comprehensive research about colloidal silver before accepting our opinions or the opinions of anyone else about how to care for your health. 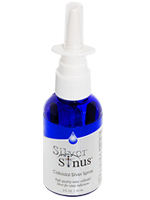 Silver Sinus colloidal nasal spray and Silver Cold & Flu Relief are natural mineral supplements of the highest quality available. While various studies have shown the effectiveness of colloidal silver against numerous fungi, bacteria, parasites and viruses, SilverSinus.com makes no claims, expressed or implied, concerning the healing or preventative nature of Colloidal Silver. Copyright © 2004-2015 SilverSinus.com. All Rights Reserved.